Akai Gurley shooting, homicide: Police-involved death ruled on by coroner. 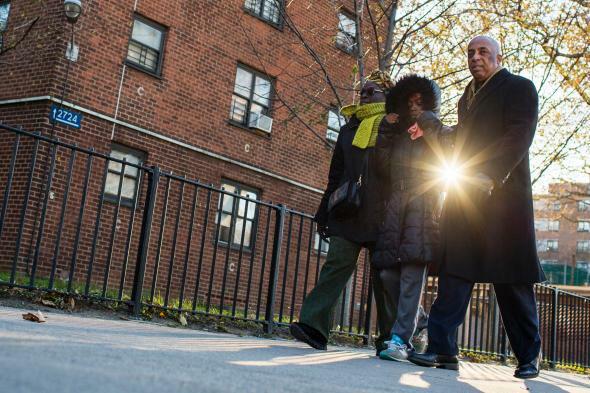 New York assemblyman Charles Barron (right), city councilwoman Inez Barron (left), and resident Melissa Butler outside the building where Gurley was killed. “His death resulted in whole from actions of another person, not from natural causes like disease,” the Medical Examiner’s office said in a statement. Liang—a “probationary officer” who had been on the job for less than 18 months—lives with his parents in Bensonhurst, a neighborhood in Brooklyn approximately 7 miles from where the shooting took place. He is reportedly “upset and distraught“; a neighbor said he has rarely left his bedroom since the incident and has “barely” eaten. Gurley is survived by a 2-year-old daughter, Akaila.